Stryker Orthopaedics, a leading manufacturer of orthopedic products including hip and knee replacement systems, issued a recall letter in August. That letter advised medical professionals that certain sizes of Stryker’s LFIT™ Anatomic CoCr V40™ femoral hip implant head were involved in a “higher than expected” series of taper lock failures. It’s far from the first time that Stryker Orthopaedics has had to recall its medical products. For hip replacement patients, the effects of taper lock failure may include metallosis, which may cause a loss of mobility, inflammation, pain, joint instability, necrosis of the adjacent tissue, dislocation of the device, and broken bones around the components of the device. All-metal artificial hips are made from cobalt-chromium-molybdenum alloys, so when the moving parts rub against one another, metallic specks may flake off and damage or destroy the surrounding tissue. After metallosis begins, the only treatment is surgery. Microscopic metallic ions may also enter the bloodstream and cause other serious illnesses. Hip implant failure can take a few years to develop, and the symptoms of failure arise gradually, so many patients may at first ignore what they think is normal, everyday pain. The hip implant parts recalled by Stryker were manufactured from 2001 through 2011. All of the units have now either been implanted or have expired, so none of the products remain “on the shelf” in inventories. WHAT IF YOU HAVE ALREADY HAD HIP REPLACEMENT SURGERY? If you have been injured or your health has been impaired in any way by a hip implant device or by any other defective medical device, in the greater Chicago area you should discuss your situation and your options with an experienced Chicago product liability attorney. Overwhelmingly, most medical devices work the way they are designed to work, but occasionally, a medical device can be defective and can be the cause of a serious injury. Such injuries are the legal grounds for product liability claims. Virtually any device used to treat a disease, injury, or disability may be considered a medical device, but these are the products most frequently at the center of recent product liability cases: defibrillators, hip implants, knee implants, stents, and contraceptive devices like IUDs. From 2002 through 2013, according to Consumer’s Union, 578 hip replacement recalls were issued by the six leading manufacturers: Biomet, DePuy, Smith & Nephew, Stryker, Wright Medical, and Zimmer. Stryker was responsible for 231 of the recalls, which came too late for thousands of hip implant patients. A medical device typically causes an injury for one of these three reasons. When a medical device’s overall design is defective, all of the units are potentially dangerous to patients, and most manufacturers will quickly issue a recall. An individual device may be damaged in manufacturing, shipping, or even after delivery to a doctor or hospital. Sometimes, a medical device injures a user because it’s simply the wrong device. Improper marketing happens if the user is sold the wrong product, received the wrong instructions, or failed to receive adequate warnings about possible risks. Improper marketing can also mean less-than-ethical marketing and sales to doctors and hospitals. HOW HAS THE FDA RESPONDED TO DEFECTIVE HIP REPLACEMENT SYSTEMS? Hip replacement systems have grown in popularity over the last several decades. Metal-on-metal designs offer increased mobility, but they have also been more prone to failure and recall. Since so many recalls have involved metal-on-metal hip replacement devices, the Food and Drug Administration (FDA) held a public hearing in 2012 to discuss and publicize the issues regarding hip replacements. A number of medical researchers and surgeons provided testimony, called for more research, and concluded that physicians must tell their patients about the problems linked to metal-on-metal hip replacement devices. Medical device recalls may be ordered by the Food and Drug Administration (FDA) or may be initiated voluntarily by a medical device manufacturer. Manufacturers understand their legal obligation to design, manufacture, and test their products with the public’s safety as their top priority. Manufacturers also understand their legal obligation to warn the public if a device fails, has negative side effects, or simply doesn’t work as it’s supposed to. In most cases, however, patients have already been injured before a manufacturer or the FDA takes a device off the market. Those patients are entitled to compensation and justice. ARE MEDICAL DEVICES ADEQUATELY TESTED FOR SAFETY? Even though the FDA is charged with ensuring that medical devices are fully tested before they reach the market, medical device recalls are being issued more and more frequently. The FDA relies on the testing of medical devices by their manufacturers, and it also counts on those manufacturers to continue monitoring the safety of their medical devices and to report any safety issues after a device reaches the market. Some observers and pundits feel that the regulatory process is lackadaisical and provides medical device manufacturers with no particular reason to make safety a top priority. If you are injured by a hip replacement device or by any medical device, and if you choose to pursue a product liability claim in the Chicago area, have the counsel of an experienced Chicago product liability attorney. In a medical product liability case, your lawyer will look beyond the device’s manufacturer; potential defendants could include testing laboratories, sales reps, hospitals, clinics, doctors, and medical product retailers. In a medical product liability case, an injury victim must prove three different but related points in order to prevail. A victim must prove that he or she has in fact been injured. A victim must prove that the medical device was defective (or improperly marketed). 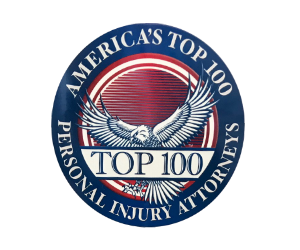 A victim must prove that the defect or improper marketing directly caused the injury.